French Pharmacy Month is Back! Today is a great day. If you haven’t it guessed yet, it’s time to dust off your old Amelie DVD and pick up a pain au chocolat, because French Pharmacy Month is back – and there’s so much newness! Everybody wants a slice of the French beauty scene. If your skin wants in and you feel like treating yourself to a regime overhaul, we’ve got up to 1/3rd off the most innovative and sought-after brands that are causing a global stir with beauty aficionados. Brace yourselves… Uriage is now on UK soil! Thanks to our incredible product team, this in-demand range is now finally available to all Escentual customers without the hefty shipping charge! So, what’s to know? 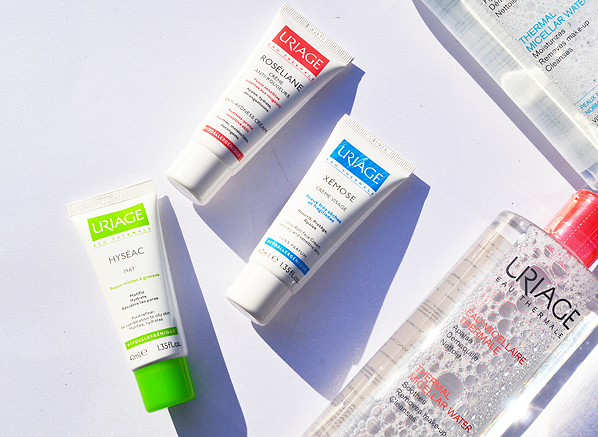 All Uriage products are enriched with mineral salts and oligo-elements, which are tiny cells that are a duplicate of our own skin cells. They work in synergy to nourish and encourage cell regeneration whilst balancing out our complexions. 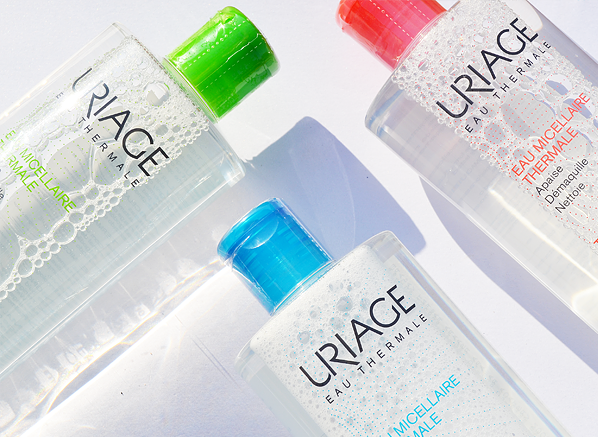 Another addition is the mystical Uriage Thermal Spring water, which is naturally isotonic (hydrating, protective and restorative). People love the water because it respects and preserves their skin’s natural moisture barrier in its own, special way – dreamy! 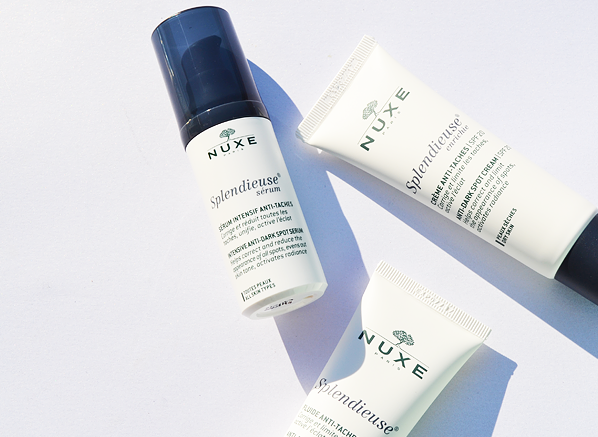 One for all and all for one – the new Nuxe Splendieuse is not your average dark spot corrector! If your skin is feeling slightly lacklustre, this brightening range combats any and every area of unwanted shade, whether your concern lies with acne scarring, age spots or hyperpigmentation. With a full complement of serum, day cream (for normal/dry skin), day fluid (for combination skin) and sheet masks (an Escentual team favourite! ), this revitalising regime is perfect for any age and skin type, especially if a clearer and more radiant complexion is what you’re after. We’ve seen micellar waters, lotions and gels. But how about oils? We can’t thank Vichy enough for creating this super sumptuous cleanser that removes every trace of makeup, even that pesky waterproof mascara that won’t budge! To add another cherry to the cake, this paraben-free formula is enriched with Vichy Thermal Spring water and vitamin E to shield your skin from aggressors whilst topping up its natural defence with a dose of antioxidant protection. See the full review here. 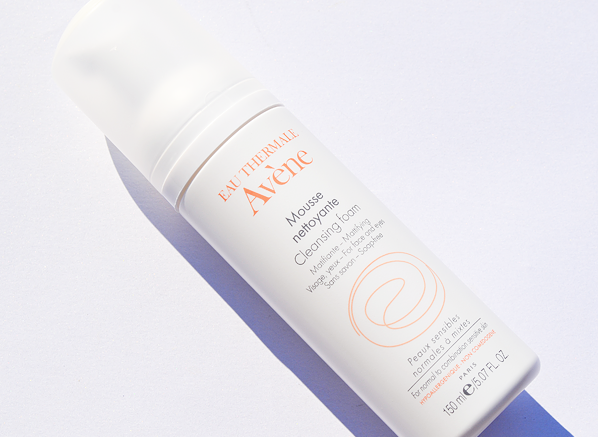 At the heart of this gentle foaming cleanser lies the incredible Avene Thermale Spring Water, renowned for its skin soothing properties filtered over the mineral mountains in Avene, France. This lightweight purifier smoothes and comforts your skin with every use. A great all-rounder that softly cleanses and nourishes your skin every day. 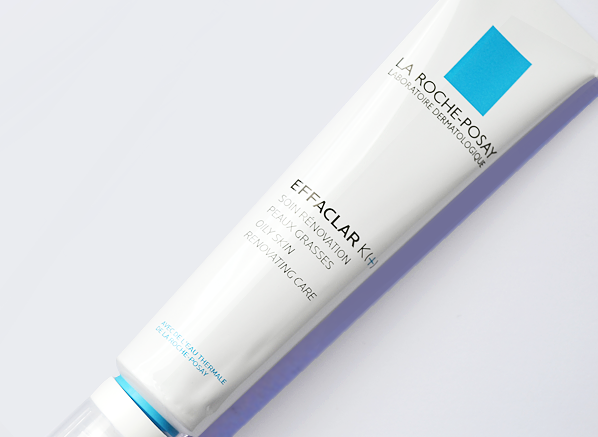 We know, Effaclar K isn’t strictly new – it’s has been a firm favourite for years. But forget everything you knew about the original K, because the reformulated K [+] is a whole new level of amazingness. So, what’s changed? Let me tell you, it’s everything! Created especially for oily skin with bumps that haven’t quite yet turned into blemishes, the renovated formula has come back more powerful than ever. The dream team of vitamin E and carnosine work in synergy to purify your complexion banishing squalene oxidation (less black heads and bumps) while the new Aircilium ingredient holds up to 100x its weight in sebum for shine-free complexions all round! Suitable for day and night use. We all have sleepless nights, and then wake up with the tell tale signs all over our complexions. 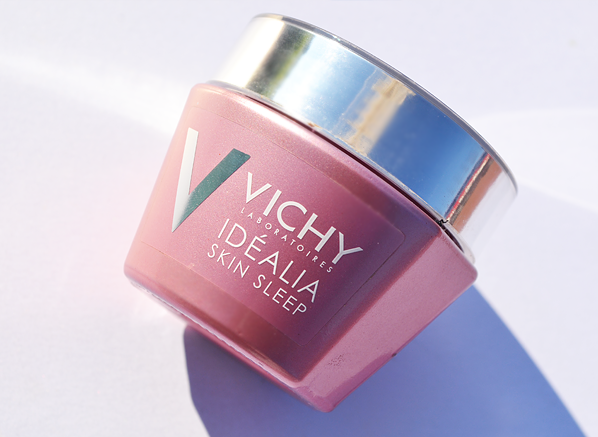 Well, Vichy has listened to our concerns and created a transformative overnight treatment to mimic the effects of an 8 sleep for our skin – amen! Skin plumping hyaluronic acid hydrates whilst salicylic acid exfoliates your skin while you sleep, revealing a beautiful, balanced and bouncy finish to your complexion. Check out Emma’s results here. You don’t have to be a teenager to suffer from blemishes. 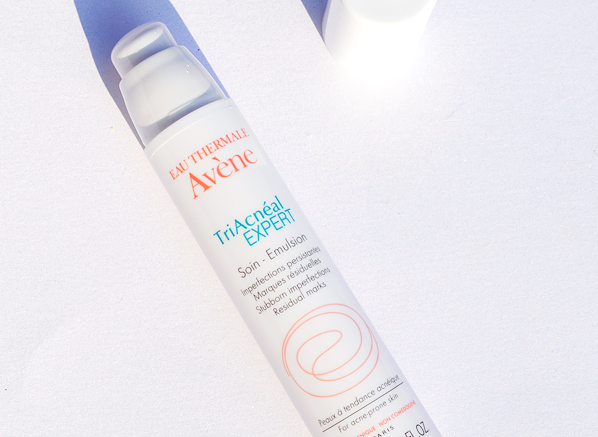 Avene have taken this into account with their latest release and we’re chuffed to beans! This pro skin perfector doesn’t just target imperfections as a whole – banishing breakouts and firming your complexion is this new and improved formula’s strict mission. Hurrah for adult acne sufferers! Darphin have brought out the big guns with their newest launch! The heroic 8 Flower Nectar Oil Elixir is now available in a hybrid cream to oil formula. 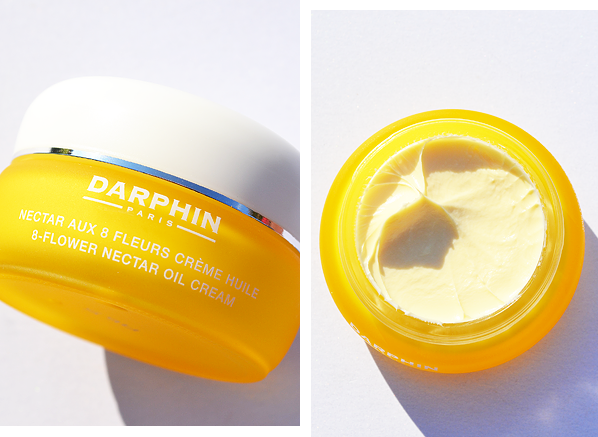 Darphin isn’t half hearted when it comes to product detail: the 8 Flower Nectar cream contains 280 petals from lavender, neroli, rose, jasmine, ylang-ylang, immortelle, patchouli and iris flowers in every jar, and it takes 168 hours for the cream to blossom to perfection. And the result? A 92% natural origin cream to rebalance and illuminate your complexion. This is the perfect place to start your Darphin discovery, especially if you’re not yet comfortable with all-out oil textures. Retinol and sensitive skins don’t usually go hand in hand – until now! This new and improved formula is now packed with vitamin C and E to boost your skin’s level of natural antioxidant protection while smoothing the surface of your skin with micro skin-renewing LHA agents. 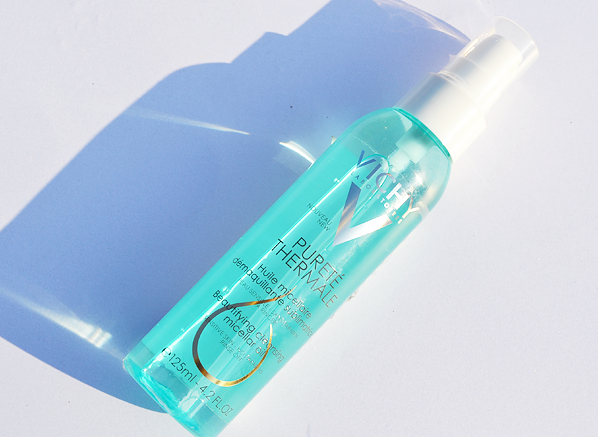 As well as brightening and tightening, dark spots and fine lines are diffused when using this evening treatment. P.s. 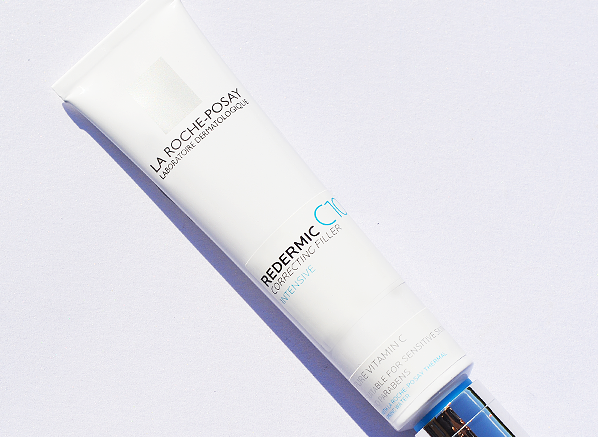 If you receive the Italian packaging, the formula is still the same – La Roche-Posay have raced Redermic C10 over to the UK because demand was so high! It’s back, and it’s better than ever! 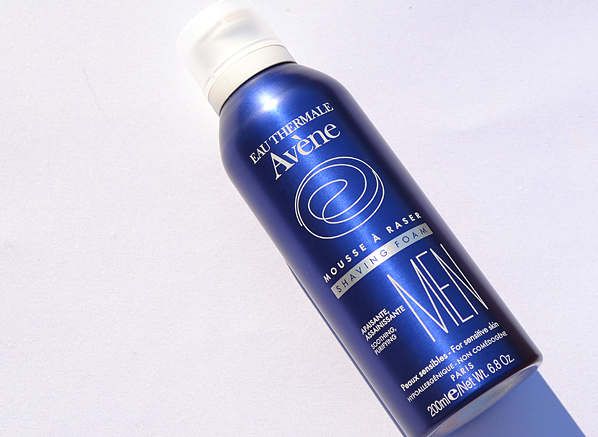 The Avene Man range has relaunched, allowing guys to indulge their skin in the famous ultra-soothing Avene Thermal Spring Water infused formulas once more. The new and exciting Nicidin patent enriches the range in purifying properties to fight against bacterial risks, encouraging his best shave to date. Don’t worry ladies, there’s no label to state we can’t use it too! So there we have it. Do you feel like you’ve caught up? If there’s anything that’s left you wanting more, chat to us over on Twitter @Escentual. We’re always available for help, advice and recommendations – au revoir! This entry was posted on Thursday, October 1st, 2015 at 11:53 am and is filed under French Pharmacy, Skincare. You can follow any responses to this entry through the RSS 2.0 feed. You can skip to the end and leave a response. Pinging is currently not allowed.